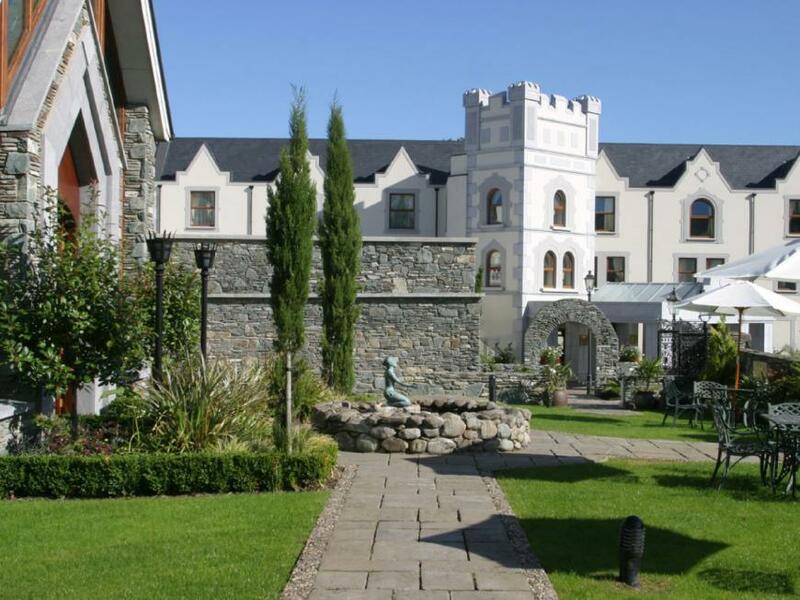 Located within the Killarney National Park, handy to all the championship golf courses in the area, and ideally situated for exploring south Kerry, this luxurious hotel makes an ideal base on the edge of Killarney town. The interior mood ranges from romantic to smart contemporary, with warmly Irish service and fine food to match. Conferences/Banqueting (300/240); business centre; meeting rooms; free broadband wifi. Rooms 70 (8 suites, 2 junior suites, 4 family, 4 single). B&B from about €75pps. Children welcome (under 3s free in parents room, cot available free of charge, baby sitting arranged). 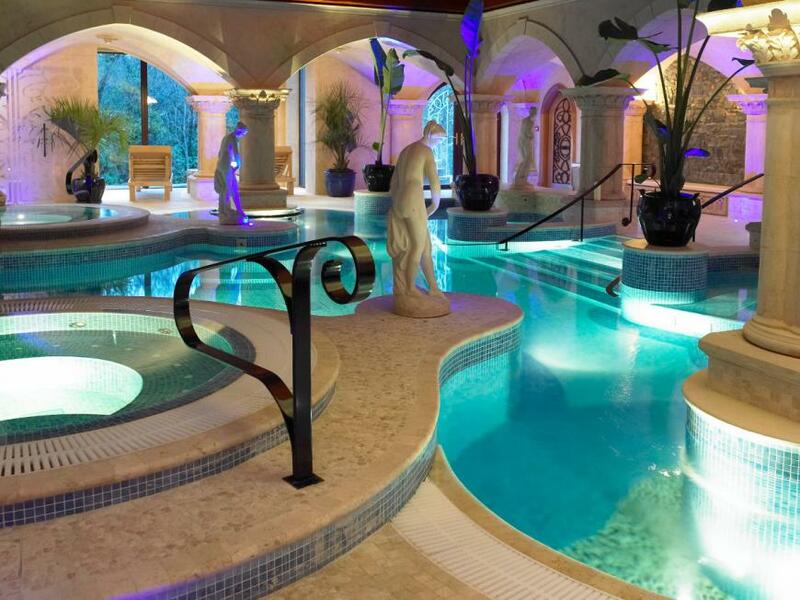 Leisure centre ('pool, jacuzzi, sauna, steam room, fitness room). Spa (treatments, massage); Beauty Salon (hair dressing), walking, hillwalking, cycling, holistic healing, yoga, tai-chi; Championship golf and equestrian nearby. Yew Tree Restaurant seats 50. D from 6.30 daily in season (by reservation); à la carte, Tasting Menu (€58), Vegetarian Menu (à la carte); Yew Tree closed Mon & Wed all Nov & 1 Jan-31 May, Dec open weekends only. Monks Lounge open daily from 11am, light L from 12.30pm (also 3-course Sun L, €30) Afternoon Tea. Major Colgan’s traditional pub (casual fare, entertainment) daily from 12.30 in summer, times vary off season. Parking. MasterCard, Visa. At the heart of this large, well-executed five star development lies a fine Victorian house and, although the newer areas have an elegant contemporary style, an atmosphere of timeless quality prevails throughout. With a large conference centre, break-out meeting rooms, a mediaeval-style banqueting suite and indulgent spa facilities, it is a popular choice for business and weddings, but it also makes a convenient and luxurious base for the independent traveller. 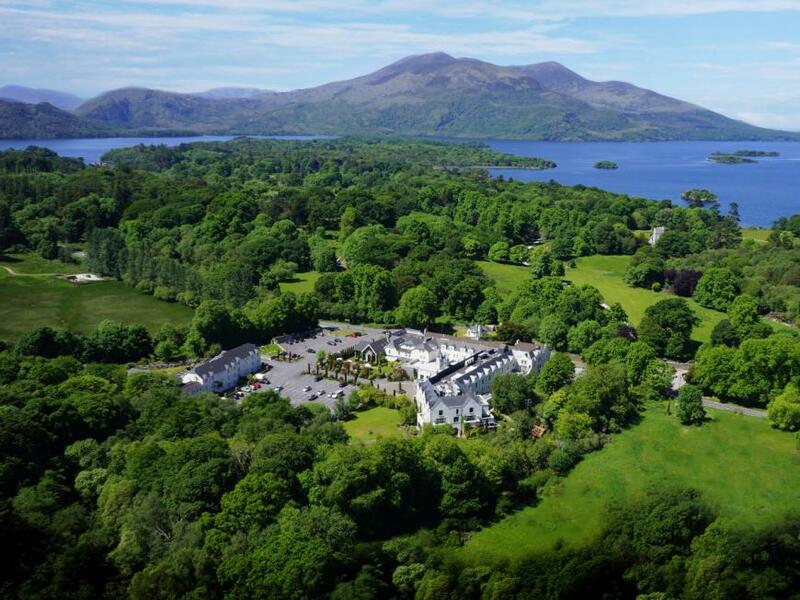 It is located within the Killarney National Park, near Muckross House and Garden, handy to all the championship golf courses in the area, and ideally situated for exploring south Kerry. 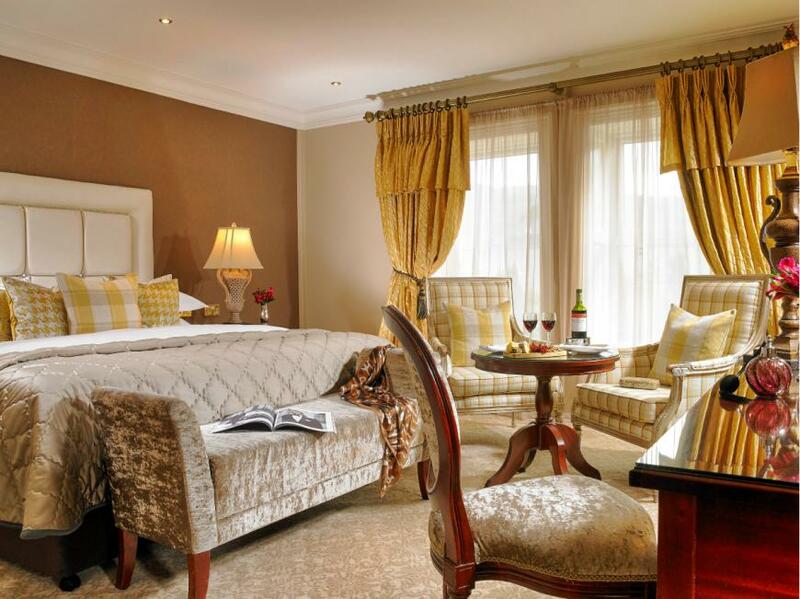 Beautifully furnished accommodation offers all that would be expected of an hotel of this calibre - ranging from romantic four-poster suites to spacious contemporary rooms, all featuring luxurious fabrics and many extras - and good local food and friendly service to match. A good breakfast here will set you up for the day, and a particularly attractive feature of the hotel is the warm ‘Irishness’ of the staff. The adjacent pub, Major Colgan’s, is in common ownership with the hotel and it's a typical old-world traditional Irish pub with open fires and the focus on drinks, pub food and entertainment (including Irish music and dancing on some days). 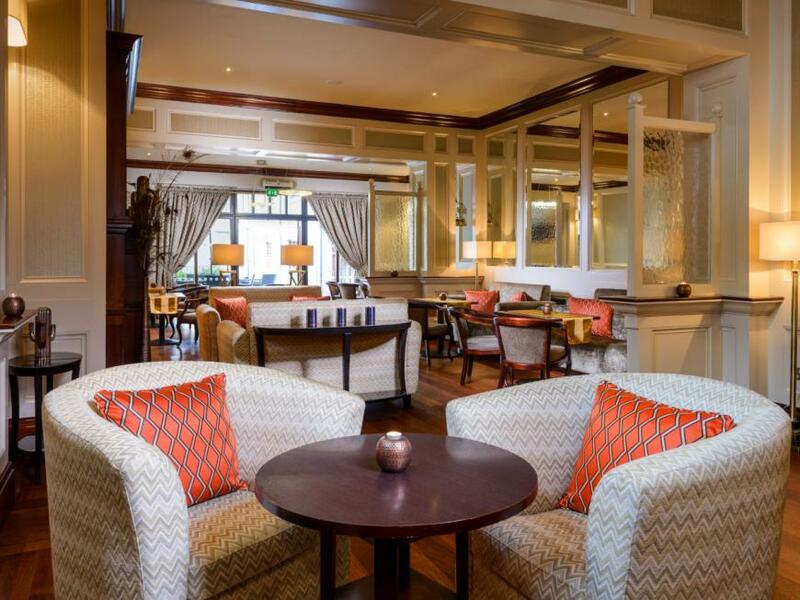 For casual dining, the cosy Monk's Lounge (originally the Herbert Inn, dating back to1795) also has an open fire and is open daily for light lunches, Afternoon Tea, snacks and evening cocktails /aperitifs. A three course Sunday lunch is also served here. 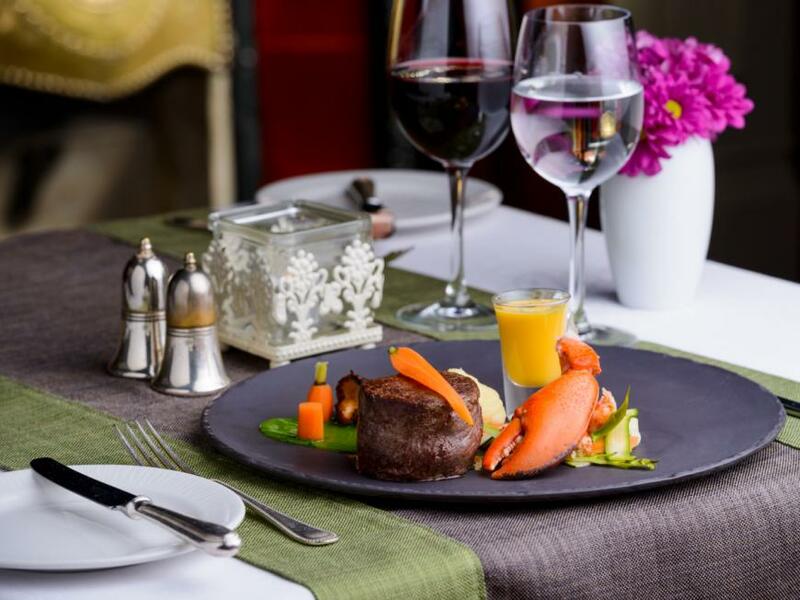 Fish and meat from the Atlantic counties feature strongly in the modern fine dining offering by Executive Chef John O’Leary and Restaurant Manager Zsolt Zidek in the sumptuous Yew Tree Restaurant, where space and comfort abound. Menus offered include an A La Carte, a Wild Atlantic Way Tasting Menu - where fish dominates in both cases, particularly on the Carte - and a Vegetarian Menu.They are a celebration of foods from along the Atlantic coast and all suppliers are named, including local meat suppliers T. Cronin and Sons and Flesk Meat, and others further afield such as Mungo Murphy on Connemara for seaweed and Donegal rapeseed oil in Lifford. Beautifully executed starters may include a superbly presented Scallop dish that comes with Chicken Wing, Peas, Wild Garlic, Lardo and Truffle Crumb, and also perhaps ever popular Belly of Suckling Pig with Baby Vegetables, Apple and Bacon. Excellent fish main courses to look out for include a star dish of Wild Halibut Smoked, Razor Clam, Oyster and Vermouth, Lardo, while anyone who is not into fish should enjoy one of the poultry or meat dishes which - like everything on the menus here - are a bit different. And, while this is five star dining with all that it implies, main courses are all served with a potato dish and vegetables of the evening. To accompany, wine choices are suggested with each dish and they are indeed worth considering. Otherwise, the Wine List offers quite an impressive selection from all around the world, with house wines from around €30 and half bottles and wines by the glass also available. Sweet-toothed diners will enjoy the dessert menu (many will relish Chocolate Textures, an indulgent plate offering Chocolate Ganache, Milk Chocolate Chantilly, White Chocolate Crumble, Passion Fruit Gel...) but there is also a board of West Coast cheese - to be savoured, perhaps, with a glass of Dow’s 10 year old Tawny Port (€8.90). After dinner, this is a comfortable room in which to linger and sip a dessert wine - such as a Recioto della Valpolicella Classico or, perhaps, Fernando de Castilla’s Premium Amontillado Sherry - which the friendly staff will serve with warmth. 4km from Killarney, on main Kenmare/Ring of Kerry road, almost opposite entrance to Muckross House.